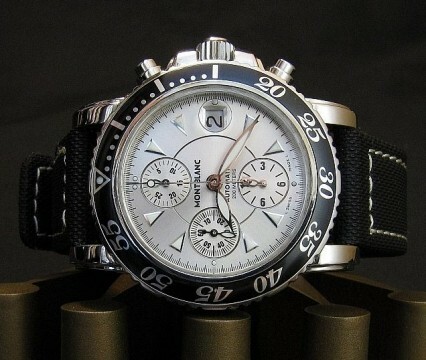 Here is my own Montblanc Sports Chronograph Meisterstuck with rare silver dial in excellent condition. 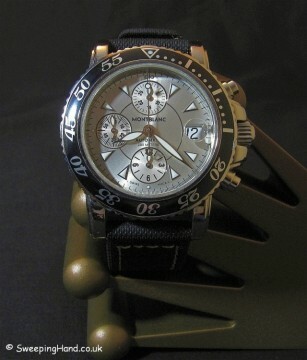 The watch has been in my personal collection for quite a while now and used to be worn in rotation every now and then. Sadly I have not worn it for quite a long time and although I have put off selling it on MANY occasions as it really is so nice, I feel it is time someone else got to enjoy it…rather than it sitting in my drawer. It is all functioning correctly and keeps very good time and the chrono starts and resets as it should. 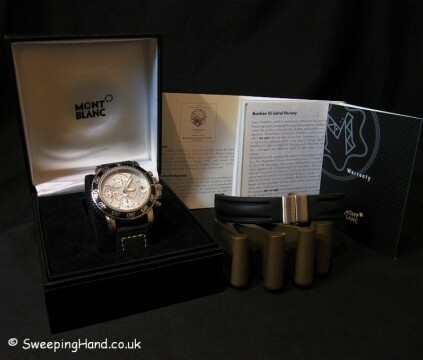 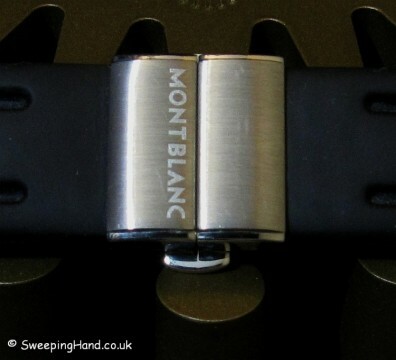 It comes with it’s original box and guarantee booklet and on the original rubber strap with Montblanc signed deployment. 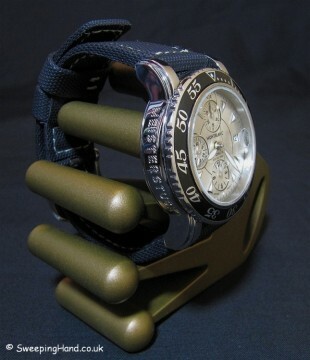 The additional kevlar strap shown in the pictures is available separately. It is in very good condition as you can see from the pictures and I am certain the next owner will be very happy with it!! 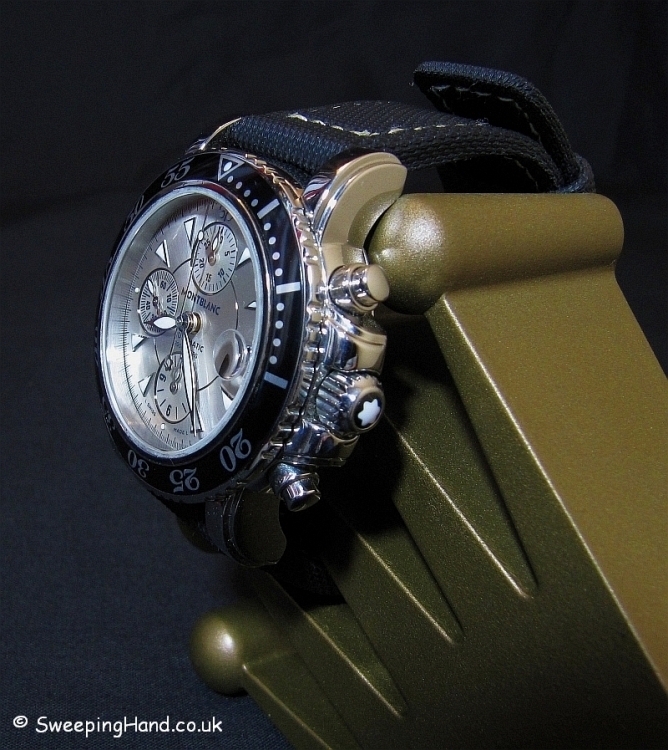 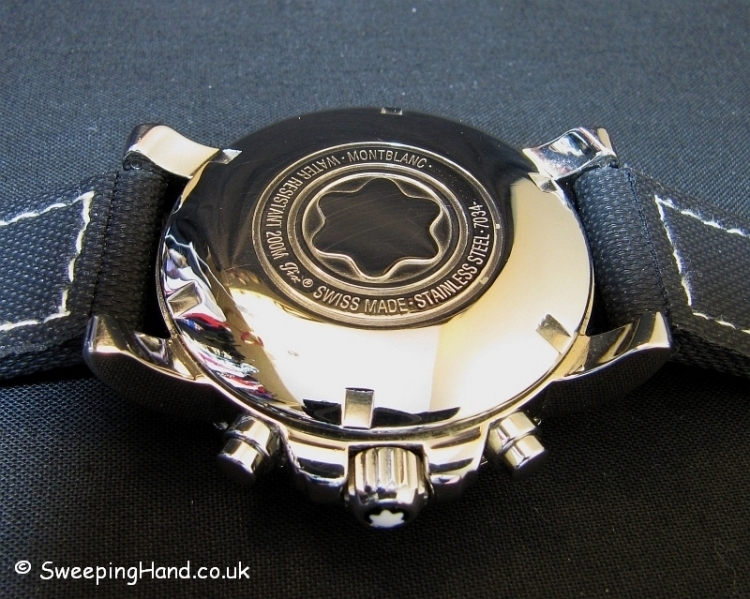 If you are looking to sell your watch or for a watch buyer in the UK then please get in touch. 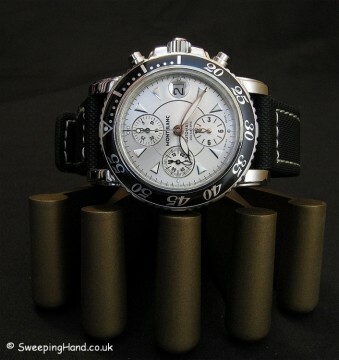 We can help with your watch watch value, offer the best price and organise purchase of your watch watch quickly and with immediate payment. Many references available from satisfied clients worldwide.